We clearly have an unmatched level of expertise in the Hire industry and with our £1 million redevelopment we have updated most of our limousines and now have limousines which can seat up to 16 people. These Limousines are now available to hire from Manchester Limo Hire. Our Vehicles are cleaned after every booking and they go through a pre-booking inspection so you can rest assured your booked limousine hire will turn up looking the business as per request. It could be that you want to get out to a sporting event in ultimate style and make your presence known, no problems take a look at the Black Hummer limousine or the Range Rover SportLimousine and no one can miss these vehicles even if they try too. We know how difficult it can be to choose your limousine or limousine hire Stockport company in Manchester so we teamed up with some of the leading experts in the limousine hire Liverpool field and added some articles to make it easy for you to select the limousine company, its drivers and their vehicles. Click on any of the articles below for more information and if there is anything you are unsure of please give one of our client liasion officers and they will be able to give you all the help you need. If you are not from this are and you wish to hire a limousine view our Limo Hire Directory and choose your nearest area, or alternativelty call our National call centre and they will handle your call and make sure you have what you are looking for. At Exotic Limo Hire Blackpool we ensure our clients travel in luxury and style chauffeur cars, our limos offer you everything you could possibly need for a comfortable and first class journey with VIP treatment on any occasion for hire. Limousines are perfect for any event and can make any occasion that little bit more special. 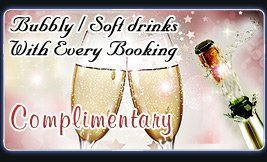 At Exotic Limos we can cater for any event whether it is a birthday party, an anniversary, a wedding, Christmas party or trip to the airport. Make someone feel great on their special day and consider limo hire to make it day to remember. At Exotic Limos we specialise in limo hire Manchester, but wherever you are in a range of locations across the UK, you can enjoy your journey in the comfort of a stylish and elegant limousine. Our wealth of experience and our outstanding service ensures that you receive impeccable service. So whether you're looking for limo hire Cheshire, Huddersfield, Leeds or a range of other locations, contact Exotic Limos today to book your limo for your special occasion. At Exotic Limos we have a wide range of vehicles for limousine hire. 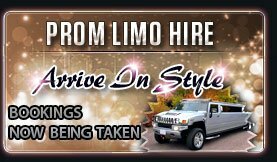 Our range of limos includes Hummer H2 in black and white, Baby Bentley and Range Rover Sport among many others. Each of our limos is equipped with everything you need to travel to your destination in luxury. With CD/DVD players, TVs, an ice cooled bar, laser light show and complimentary drinks on board, there's something for everyone to enjoy. Many of our limos also include tinted windows and a customer privacy screen to ensure that you and your friends have privacy in your specially selected vehicle. What's more, our luxurious limos have a capacity of 8-16 people, so regardless of the event you are travelling to and how many people you would like to travel with, our limos are the perfect choice. With our limo hire Oldham you can make use of our state of the art limos and ensure you arrive at your event in style. So what are you waiting for? Stand out from the crowd and travel to any event in our stylish and high quality limousines. If you're arranging an event with many guests, it can sometimes be difficult to coordinate travel arrangements and ensure that everyone arrives on time. 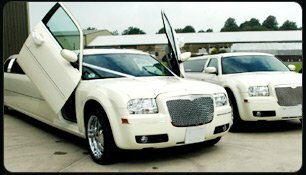 Limousine hire is the ideal choice. You and your guests can relax on the journey as you arrive at your event on time, in style and in comfort. Perhaps you're going to Ascot and want to make the most of your day. Treat yourself and travel in style and comfort to the event. You can start the celebrations early with our limousine hire – we provide everything from hampers of food and drink to gazebos, tables and chairs so you can relax and enjoy your journey and your time at Ascot. 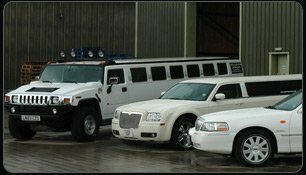 Whatever the occasion, it is easy to see how our limo hire never compromises on service. We have a track record of providing exceptional service, treating each and every customer with the care and attention they deserve. Our limo hire Leeds, limo hire Sheffield and services throughout a variety of locations, is available at excellent value for money. So whatever your budget, you can benefit from our extensive experience and expertise, and ensure that your time in the limo will be one to remember. Limos are the perfect choice of transport for any event, so what are you waiting for? At Exotic Limos, our limo hire Huddersfield and our nationwide limo service offers excellent service at competitive prices. Do not hesitate to contact Exotic Limos today to arrange your transport so you can travel to your event in style, elegance and comfort.